The last sets sold so quickly, we did a couple of more sets and they sold before we even got them listed. Much prettier in person and lovely accents year round! 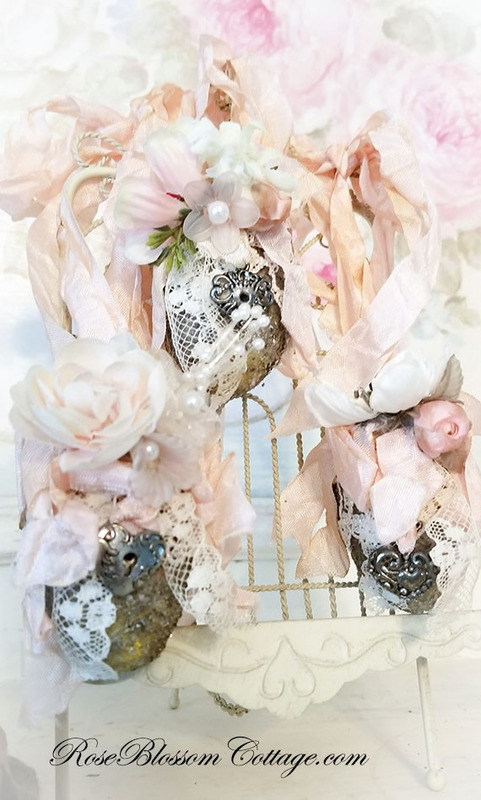 To die for scrumptious Easter eggs decor that will only get better with time. Best of all, you get all 3! 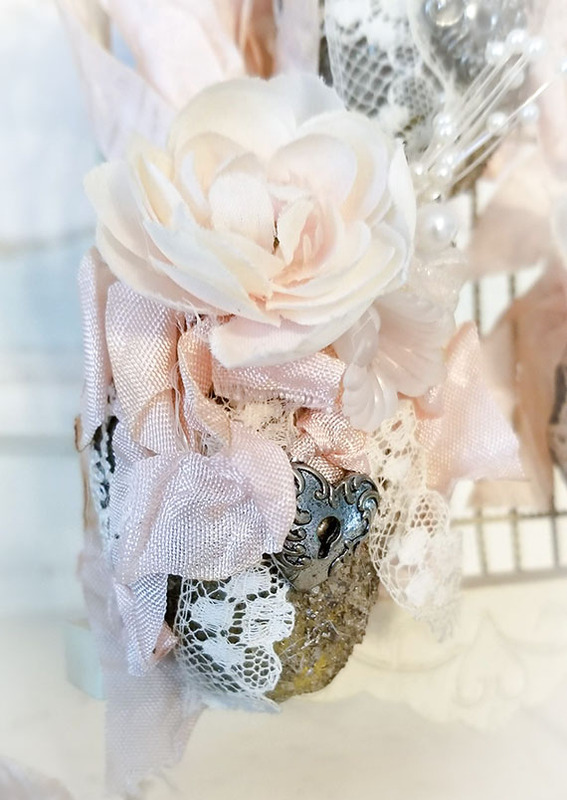 Genuine silver German Glass Glitter (so not to be handled by children because this is real glass) eggs with bits of millinery flowers, French script, netting, ribbons, wide lace, antiqued lace, and silver charms. Just exquisite pieces. Lovely, elegant. Hang from your favorite knob, group in a glass bowl, or hang them (Use them as oval Christmas ornaments). Each is 6" from top to bottom with the actual egg being about 2 3/4" x 2 1/4"